She walks in with her music, and walks out with his wallet Kaz Barrett should be saving for college. Instead, he saves his pay from the Sit'N'Spin Laundromat to send his mother to a very expensive sleep clinic in New York. His mother suffers from a rare neurological disorder, and both Kaz and his kid sister worry that one day, maybe tomorrow, their mother will fall asleep and never wake up. But when pink-haired Zoey walks past the laundromat's window, Kaz's ordered life begins spinning out of control. 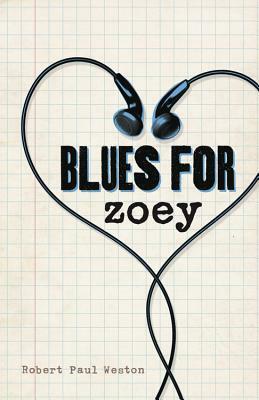 Smart, mysterious, and full of music, Zoey is unlike anyone Kaz has met...but there's another side to her that he can't quite figure out. When he goes looking for answers, he finds a whirlwind of lies, half-truths, and violence. I found this book in NetGalley and got accepted in return of an honest review. I want to thank them for the opportunity given to me and it was an honor to read this book. The story was good if you get the chance to read everything, but to be honest it got me bored and I really wanted to stop reading. The way it was written was not really my type it got me confused and I began to think the story was way too twisted and there wont be a good result on it, but then I still continue reading and as the story goes on it became clearer and it made more sense, story is not twisted but maybe the life Kaz had is the twisted one. Let me get this straight, the book has it's own hidden message. I was glad to find that out and I didn't gave up reading the book. In fact, in some point I enjoyed because Kaz loves his mom so much and I liked him for that. I liked how he thinks when it comes to his family. It was really a plus, I was also curious how the book will end up. There might be lots of twists in the story but I'm glad it ended up in a nice way. You'll actually learn something from this. Simple story with lessons in it, that's what I love about this book and that was enough for me to continue and finish until the very end. I can say it was cool. I don't want to reveal everything but I guess I would like to give a very short summary based on how I understand the story. I'll stop there because I might end up telling the ending or whatever I might add. Well.. I suggest readers should take time reading this because it was a nice book. Give time and relax while reading. You can find me on Facebook and Twitter .